It’s hard not to score well in the style stakes when this handsome piece already comes with its own set of stars. One of the must-have’s this spring comes from the house of Givenchy, helmed by the master of cool, Ricardo Tisci. This all leather holdall comes in the classic weekender shape, and in timeless black. The capacity is great – up to 42 litres according to the information on mrporter.com, whatever that means in terms of everyday items like gym clothes, magazines, shoes….we don’t really know. Let’s just say it’s quite a bit. What this means for you is that you get to pack all that you need for the gym or for a weekend getaway, all in one single bag. The 105cm long shoulder strap allows for an alternative mode of carrying this bag, leaving your hands free for that cup of coffee or the quinessential smartphone. The Givenchy Nightingale is surprisingly lightweight, though it is all-leather. Yes, we work out and a little extra weight – outside of our body – shouldn’t matter but after a good gym workout, an extra kg or so makes a hell of a difference on those swole shoulders. The embossed five-point stars not only add some details to an otherwise all-black weekender, they also inject a bit of cool and street style that’s au courant right now. In the department of men’s style, details are to be embraced but with a healthy dose of restraint before the item/design steps over to the land of the gaudy. This bag is a fantastic example of masterfully using details without them overwhelming what’s otherwise already a great design. All in, a great piece to have, and a worthwhile investment that will see you stylishly through spring and well beyond that. Long hair is not the proprietary domain of women these days. We are not talking about the 80’s head banger musician style of long straggly locks. 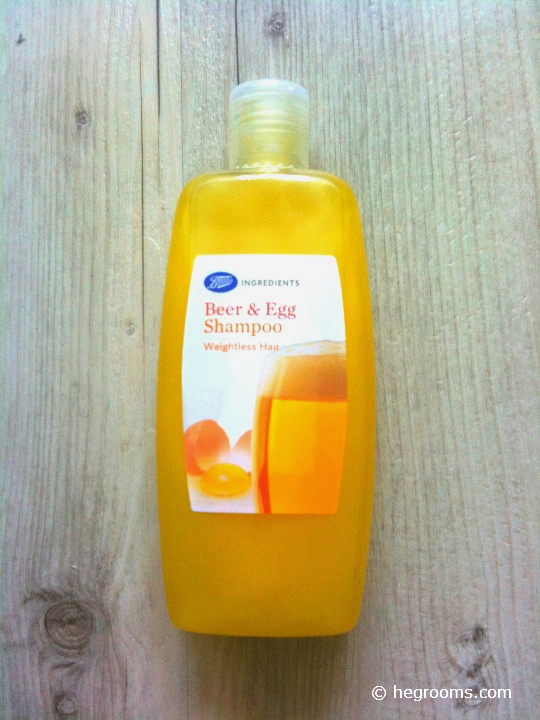 You know, the kind that looks like shampoo ain’t gone near it for weeks on end. Nope, we are talking Brad Pitt ala Legends of the fall, Chris Hemsworth aka Thor… Ok, that was one fine hairpiece Chris wore but you get the picture. If you are growing your hair out, that is the kind of hair you are aiming for. However, nothing kills your style more than greasy hair. And no, clean hair does not feminise your look in any way. If you still feel that way, time to drop the club and step out of that cave you are still in, and join the rest of civilisation. 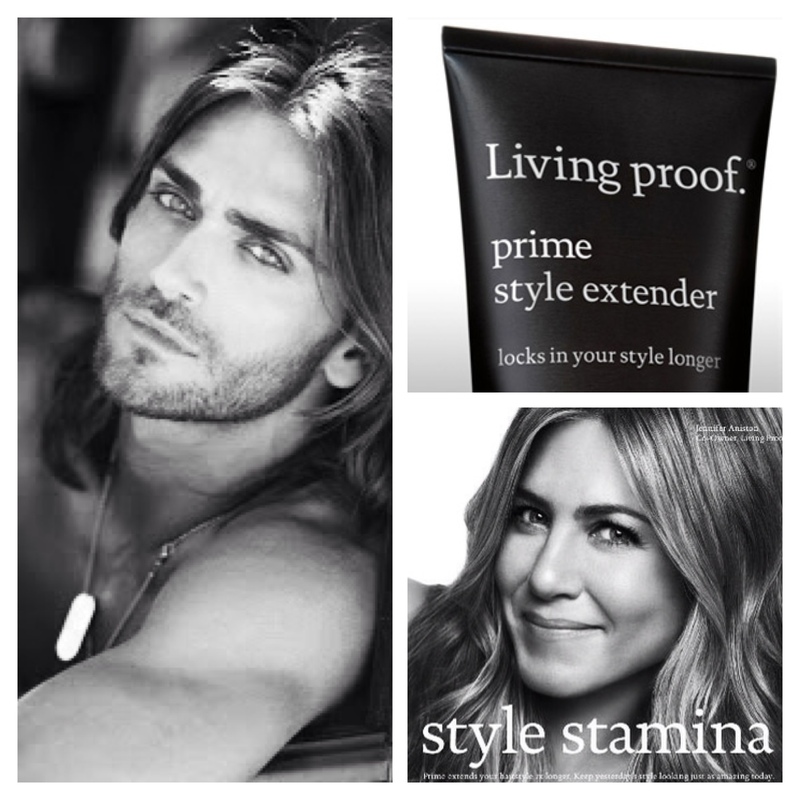 One star product is the Style Extender by Living Proof. Yes, that Living Proof co-owned by THAT Jennifer Aniston, the artist also known as The Hair. Use it on towel dried hair after you have shampooed it. Then style as usual, and that look will last you a good 24 hours (for you super grease heads) to 48 hours. 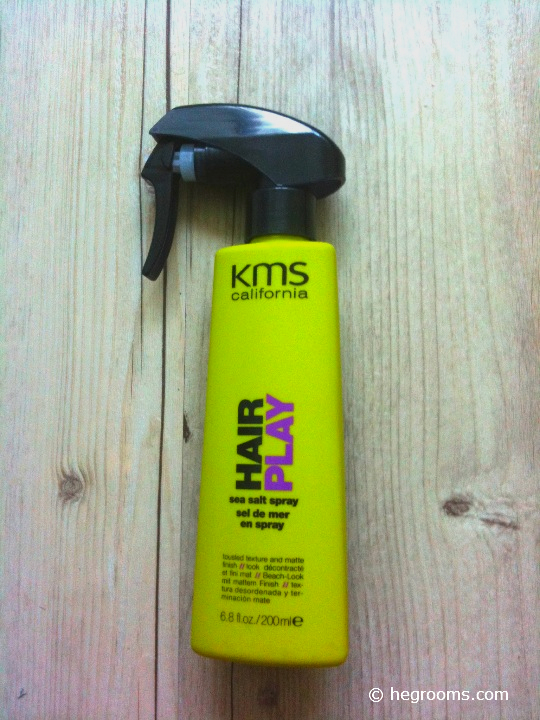 The trick is to use it on damp hair (80% dry) and not dripping wet hair. Go on, toss that hair, flex that arm, and do your best Thor impression now. Ok, here’s the truth. Your pores are not going to get smaller with creams, lotions and potions. The only way they can be reduced in size is to be blasted. By laser treatments, that is. Other than that, you can use products to ensure that your pores are nice and squeaky clean. This gives the illusion of smaller pores. Just do this simple experiment. Take a piece of tissue and blot as much “facial oil” as you can from your pore-blematic areas. Check in the mirror and you should see your pores look visibly less visible. I have oily skin and it’s a common two-in-one deal from nature that it should be accompanied by enlarged visible pores. I had tried almost every product out there that claims to target pores. Sadly, most remained as claims. 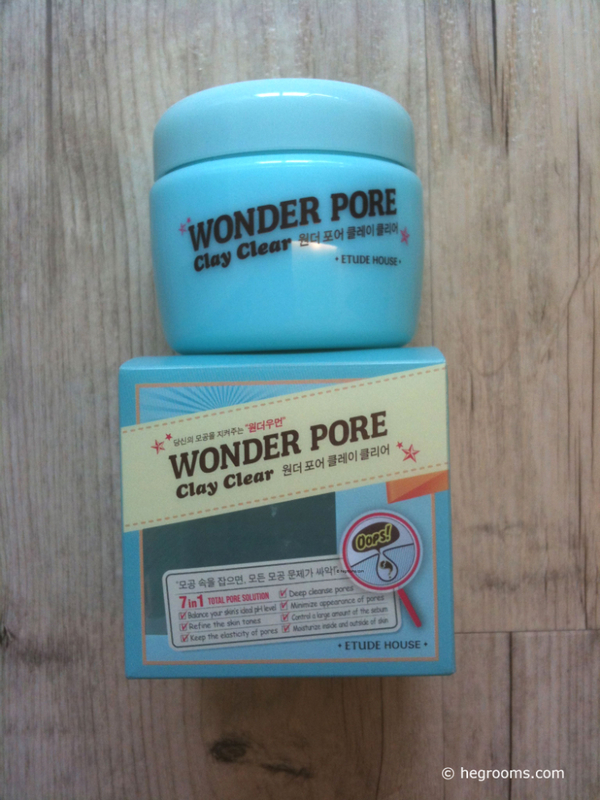 Recently, however, I discovered Wonder Pore Clay Clear from Etude House and it has given me a glimmer of hope. This product is a clay mask that is used specifically on areas with enlarged pores. To use the product, take the spatula that comes with the product and scoop a teaspoon worth of clay on your palm. Apply it to the desired area with your fingertips on your cleansed face that is still slightly damp. Gently spread the clay out into a thin layer over the area. Now, go read a book, or play a round or two of 4 Pics 1 Word, or do whatever that you can think of that will consume 10 minutes of your time. When that time’s up or when you can see that the wet clay has dried to a matte grey, rinse off the product with some mild warm water. Voila! Your pores should now look much smaller. Ok, less visible actually, as explained earlier. Apply some gentle astringent to the treated areas, and finish with the rest of your skincare routine. Do this once a week if you have mildly oily skin and twice to three times a week if your skin is hyper-oily. If you are doing this treatment frequently, do space them out with a day of break in between so as not to over-cleanse your skin and cause irritation. Remember, Rome wasn’t built in a day and your pores aren’t going to just look smaller and stay smaller with just one treatment. Diligently keep your pores clean so they continue to stay less visible, and more importantly, not get clogged and cause you much bigger problems later. How to volumise and thicken hair? The basic foundation to a good hairstyle is but of course the quality of your hair. A head of full, thick hair is a great building tool. Not well endowed in that department? Fret not for there are several easy ways in which you can volumise, and thicken your hair. Here are a few of them that worked for me. This may seem like a no-brainer but many men underestimate the importance of a good hair stylist. Unless you were born with thick, shampoo-ad-worthy hair, a $10 barber ain’t going to cut it. The most basic tool you need to create fuller, thicker looking hair is to get a good haircut and a good hair stylist will be able to give you that. Ask around for recommendations and look for walking billboards for hair stylists in the form of your friends or colleagues with a great hair cut. There are many easy tricks up a good hair stylist’s sleeves to create the illusion of fuller hair. An easy one is to do a blunt trim to the ends of your hair. This means the ends of your hair are cut straight across. Feathery ends are only recommended if you have thick hair that requires layering, also commonly referred to as “thinning”. 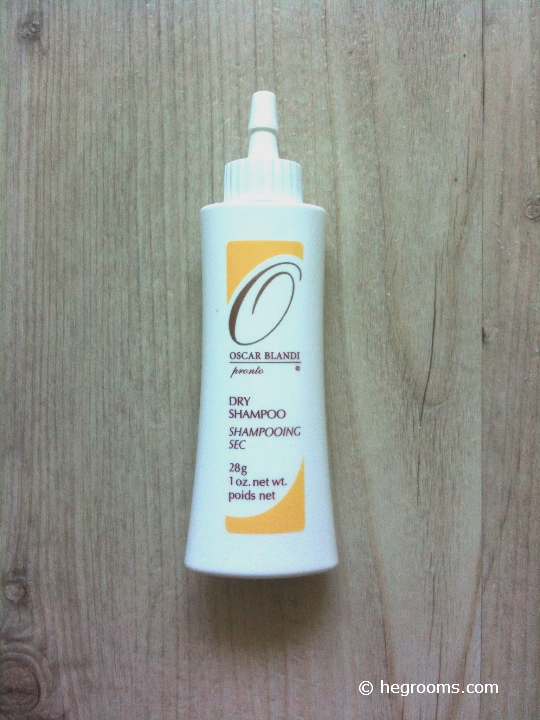 Use this on damp hair, blow dry and say hello to instantly thicker looking hair. For added lift at the roots, gently pull your hair perpendicular to the roots and direct air there. Alternatively, blow dry in the opposite direction of hair growth. 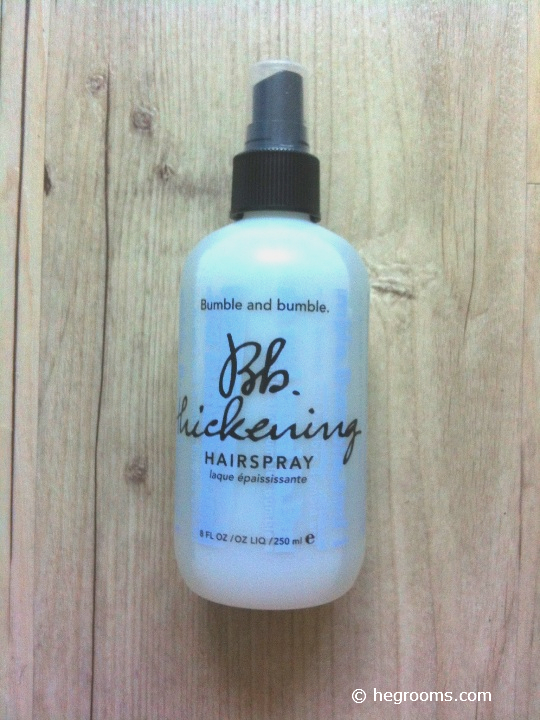 As an added booster, I use this after the Bumble and Bumble Hair Thickening Spray. A little goes a long way. This gives your hair some “grip” at the roots. What’s worse than having fine, limp hair? Having an oily scalp as their bedfellow. An oily scalp causes hair to ‘stick’ together and the oil weighs hair down, causing a matted, flat look. While this product is meant to work as a dry shampoo, I find it does wonders as a styling product too. It ‘drinks up’ grease and helps control sebum production. This keeps your hair “standing” longer, which makes it look fuller and thicker. Apply the powder directly at your roots. Use sparingly. Remember to rub it in after that to get rid of excess powder. You don’t want to be accused of having chronic dandruff. If you already have fine, limp hair, letting it dry naturally on its own will have you end up with a very flat matted look. Invest in a good hair dryer with a cool air setting and always dry your hair in the opposite direction from which you’d normally style it. This creates more volume and lift at the roots. Wondering which model to go for? Just go for an affordable hair dryer. You don’t need the additional bells and whistles. Many hair dryers that tout 1001 special tricks are but just full of hot air – pun intended! I am not recommending the costly measure of hair transplants but oral medication. Propecia has long been touted as one of the scientifically proven methods of treating hair loss and hair re-growth has also been reported in some cases. This pill is to be taken daily and effects last as long as the medication is continued. That said, this option doesn’t come cheap as a 3-month supply will set you back by about SGD300. For those of you who are interested, the good news is that the patent on this product has recently ended. This allows other manufacturers to produce it and a cheaper substitute is now available for almost half the price. Known simply as Finas 1, it is manufactured by Intas Pharmaceuticals Ltd. from India and it contains the same active ingredient – Finasteride – as Propecia. See a local reputed dermatologist or general practitioner and get more information on this product. Go through all the purported side effects before you embark on this. For starters, a notorious side effect that affects some is impaired sexual performance. ‘Nuff said?